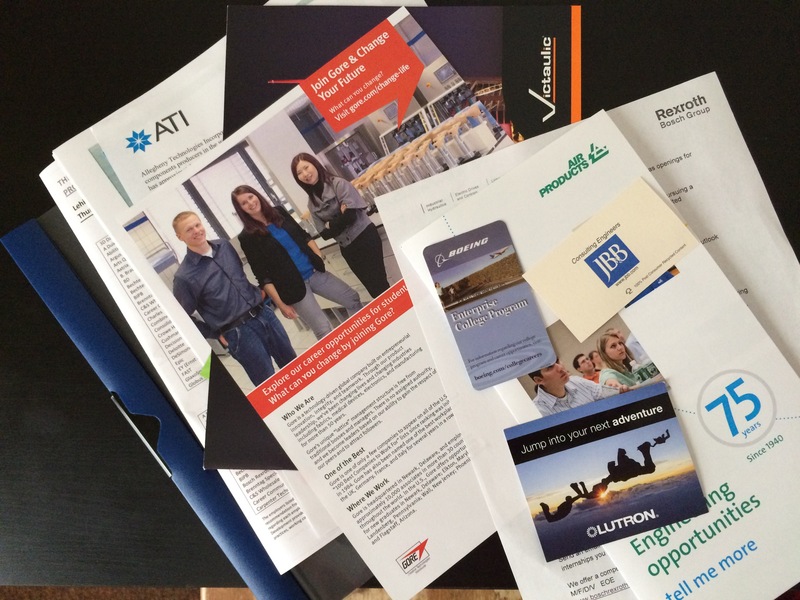 Yesterdays career fair was very hectic and crowded but was also a great help in starting the internship process. Yesterday 156 companies were present, a lot of which were interested in mechanical engineers. I talked to quite a few companies leaving most of them with a copy of my resume. I talked with companies both large and small, from GE down to a small companies like Carpenter Technology; a specialty metals manufacturer. I was very happy with my talk with an engineer at Lutron who told me I would fit in well at the company and would most likely get a response when I send in an application, so for me the fair was a great success. Other people I talked with had similar experiences and left feeling like they had a real positive connection with at least one company. Other people I talked to weren’t as lucky I suppose. The only thing that I found a little strange was that almost every company looking for summer interns don’t post their opportunities until around January. This is a little disappointing because you meet a lot of companies and are excited to try and secure a spot but you end up having to wait months before you can. From their point of view it makes sense though, they don’t need 8 months to weed through applications for a summer internship position. All in all, I found it to be a very helpful experience. I feel like I know what I want to do with my upcoming summer, but more importantly, I found out what I don’t want to do with my upcoming summer. Still, I apply to several companies of many different backgrounds and hope something sticks. It never hurts to have options, and with such an important summer as the one leading into senior year you really don’t want to put all your eggs in one basket only to have it fall through.